With the commencement of 2019, all eyes are set upon the mega event ‘Ilaiyaraaja 75’ that will offer sumptuous musical and entertainment bonanza. Everything involving this event has been setting the celebrations on grander mode. It all started with the extravagant event of launching the ticket sales amidst incredulous crowd recently. Now, here’s another bumper moment where 10 Kollywood heroes have launched the promotional videos of this event on their Twitter page. This includes Vishal, Vijay Sethupathy, Karthi, Arya, Jayam Ravi, Jiiva, Vishnu Vishal, Atharvaa Murali, Santhanam and Nanda. Each actor launched promos on their micro-blogging page (Twitter) 6 pm last evening. The actors have indeed assured their presence for the occassion following which the fans have in turn registered their presence for the grand event. This has created an unbelievably huge sensation in the world of social media. 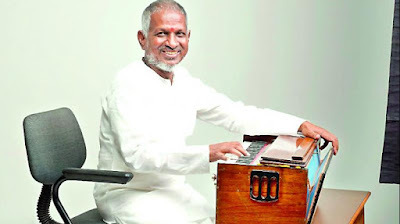 It is worth mentioning that Ilaiyaraaja 75 will be held in Nandhanam, YMCA Ground, on February 2 and 3, 2019 marking the 75th birthday of the musical maestro. February 2 will have the artistes and many others performing and dancing for Ilayaraja songs, skits and more moments about working with the legend. This will include the actors from all the regional industries, where Ilayaraja will be honoured by everyone and would be enjoying the show as other spectators. The grand backdrops on stage with huge LED screening for spectators to enjoy the grandeur is going to be yet another highlighting trait. On February 3, it’s going to be a much bigger day as Isaignani Ilayaraja will give live performance with his musical orchestra. Apart from these 10 heroes, few more VIPs and celebrities will make their presence for this event. The bookings opened this week and tickets are selling like hot cakes and the demand is getting bigger day by day.